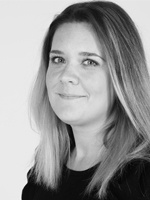 Rebecca accompanies people viewing properties three evenings a week & on Saturdays 9am-4pm. She also assists with Opening & Interim Inspections and sometimes you will see her in the office helping with administration. "I have a work hard play hard mentality. I am lucky to have 2 wonderful children and a job I love so for me finding the balance isn't hard. ‘ Life is not about waiting for the storm to pass. It’s about dancing in the rain.’"